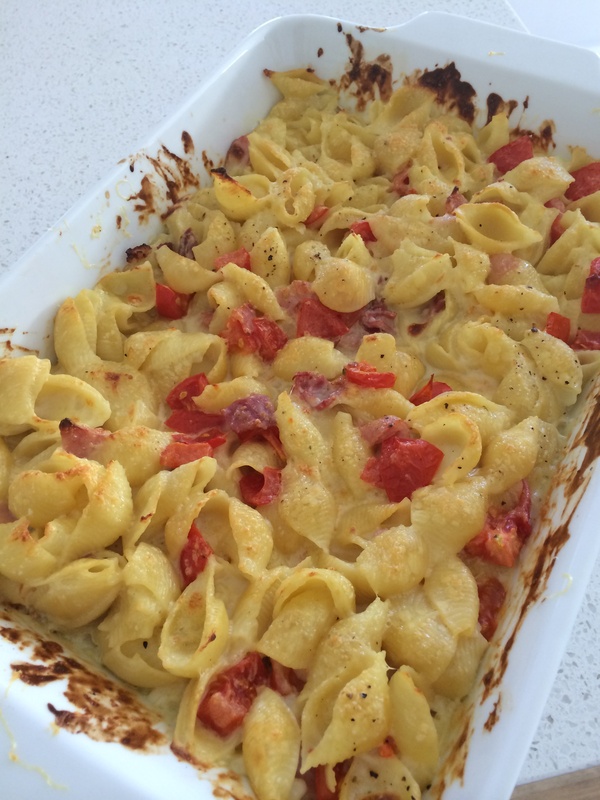 The kids love this mac and and cheese sauce straight out of the thermomix, no grilling necessary. There’s nothing better on a cold wet windy day to be inside with comfort food. 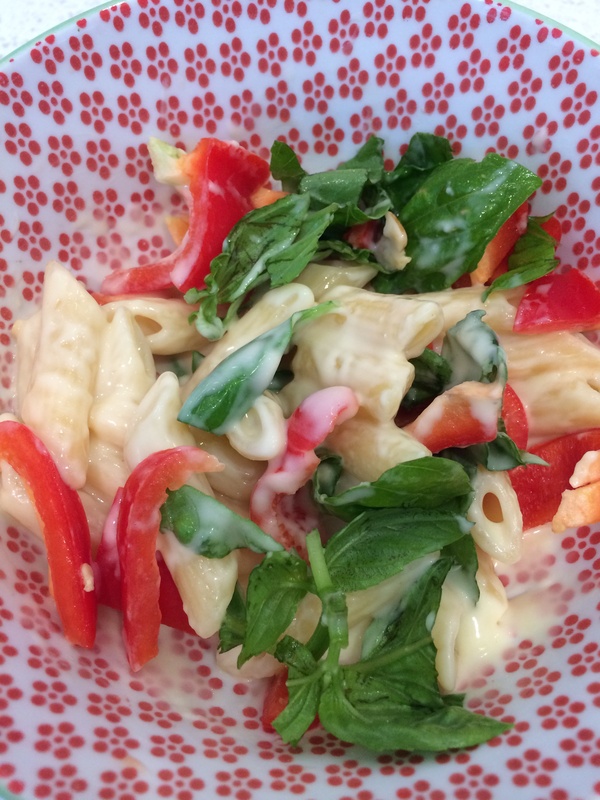 Macaroni cheese becomes a tasty pasta salad for mum and dad too, added bell peppers, fresh tomatoes and fresh basil straight from the garden to balance the high carb hit!